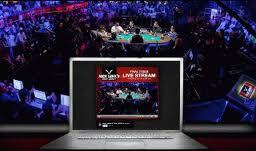 The WSOP made history when they live broadcast Day 3 through Day 8 of the 2011 WSOP on ESPN3.com, ESPN 2, and ESPN. While the ratings proved a monumental success for ESPN 2, there are still some things that can be improved upon to make broadcasts more interesting for fans. The hand where Matt Giannetti took over 10 minutes to make a decision showed one very glaring problem with showing poker live on television. There are times in big tournaments where players will go into a monumental tank and that frankly does not provide for great TV. As such, the WSOP needs to institute a shot clock for featured tables. While I understand that Giannetti had a huge decision and that ultimately it may have made the difference in him winning over $8 Million in prize money, ten minutes of dead air is way too long. In big ticket situations, a max time limit of no more than 3 minutes is ideal in my opinion. In normal situations, no decision should take more than 2 minutes. After three minutes, a player has had ample time and should be forced to release the hand. This pains me to say, but ESPN broadcasts should refuse to let ESPN color commentate after having the likes of Olivier Busquet and Antonio Esfandiari. They both far outshined Hellmuth’s commentary and Hellmuth was nearly reduced to being another Norman Chad. Don’t get me wrong. I used to love having Phil on TV. However, after the quality put out by Esfandiari and Busquet, Hellmuth needs to go back to playing for a living. One regular problem that I saw with the broadcasts was related to the hole cards. The cards were supposed to be shown for every player in a hand after the flop. Most of the times, the cards would not be shown until the river. For poker fans that know how the game works, that sort of a delay is fine, but it is not what casual fans expected. Only showing cards for those playing in a hand after the flop is fine, but the cards need to be shown on the flop and not after the conclusion of the hand. The claim was that players were not showing their hands correctly, but this continued even in hands where players clearly knew what they were doing in that regard. The people doing the hole card editing need to get a bit more on the stick if they hope to draw in casual fans. Making fans wait until the hand is done to see the cards makes the game boring for the casual fan. Overall, the live broadcasts were great, but there is always room for improvement. Chances are that this experiment will return for the 2012 WSOP, if not sooner. Hopefully some of the above issues will be addressed. If not, it will be interesting to see whether number hold year over year. This entry was posted on Wednesday, July 27th, 2011 at 8:26 am and is filed under Poker News. You can follow any responses to this entry through the RSS 2.0 feed. You can leave a response, or trackback from your own site.